Natural stone. It’s both ancient and durable… but not impervious. Especially to substances like oil, grease, and wax, which can seep through protective seals on stone or tiles and cause those dark and sticky stains. Granite, marble, and other types of natural-stone tiles are vulnerable to oil and wax because of their porosity. Yes, stone is porous. You can see this when it rains and we see the surface of raw rock darken, and then remain dark even after the rain has stopped and the surface is largely dry. Water is generally not a problem as it will dry over time, but introduce wax, grease, or oil, and things change. In this case, we get the same darkening effect we see with water, but these items don’t evaporate as easily and therefore tend to linger. What makes it even worse, is that oil and grease are surface active, meaning they want to spread out across a surface. So as you wipe the surface down, the material in your surfaces pores begins to respreads out across that now clean surface as if it has a life of its own. Very frustrating. As a general rule of thumb, you should keep oil and wax away from your natural stone. 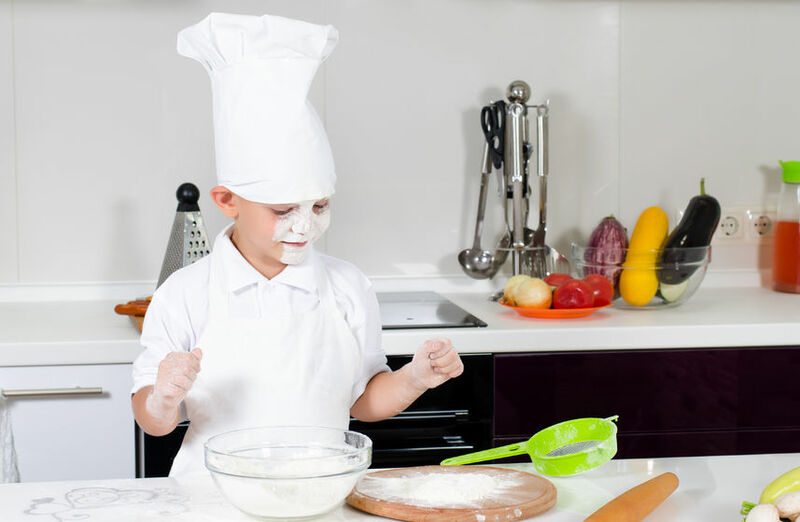 This isn’t always be possible, in areas like kitchens, bathrooms, and other living spaces in particular where we may be preparing foods, cooking, moisturizing or simply skin transfer. But here are a few recommendations on what to do when greasy substances stain your natural-stone tiles. Don’t panic. Oils and waxy residue can be removed. However, it is far easier to remove them from the surface of your stone counters than from “inside” your stone. When properly sealed everything stays on top where you are a quality degreaser wipe away from clean. Allow this to soak into your stone’s pores and we have a darkened area that will take a professional to remove. Homeowners and property managers should implement some basic best practices to keep them from happening in the first place. Candles should be placed in candle holders with wide and sturdy bases, and never be allowed to stand directly on your stone surfaces. Cooking oil bottles should never rest directly on stone surfaces (place on small dishes instead). Stone floors should never be waxed. A proper natural polish will last longer, not scuff, require no stripping or buffing and generally leave you much happier. If you are waxing, you already have a problem, and are seeking to cover it up in the best case. In the worst case, if you are waxing a stone floor that is resting on a slab over ground, then as moisture from the ground below seeks to evaporate up through the stone encounters your moisture impermeable wax barrier it builds vapor pressure. This subtle increase in pressure is sufficient to push the veins out of your stone over time, effectively destroying your beautiful marble floor. Keeping your surfaces properly sealed is the best way to keep worries of oil spills at bay. When granite and marble slabs or tiles are optimally sealed, oils and greases remain on the surface where they can simply be wiped away. A good seal doesn’t allow liquids or other substances to penetrate the stone, buying you time to clean-up without creating a disaster. 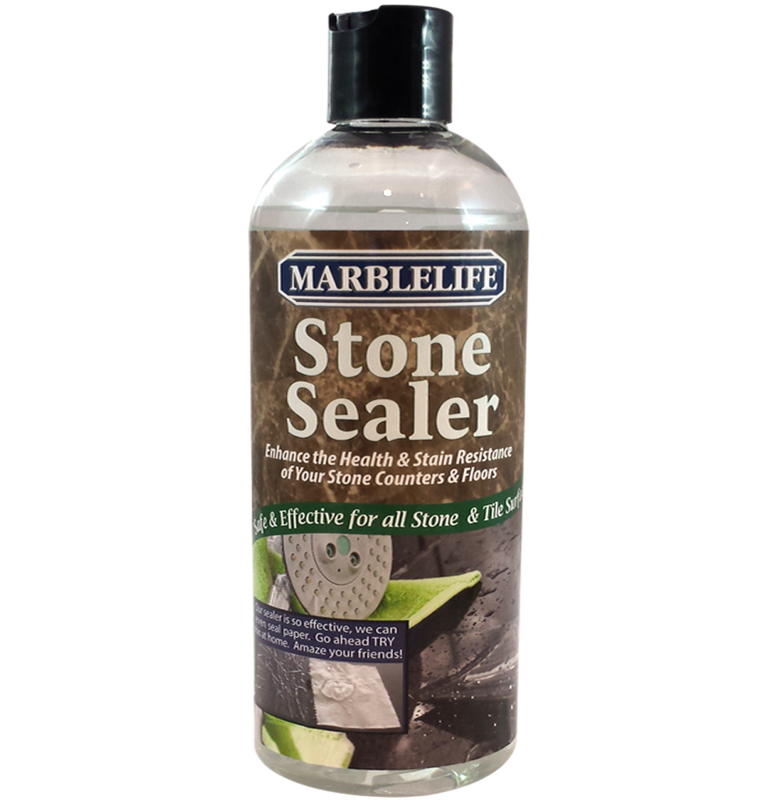 The best way to maintain a proper seal is to use MARBLELIFE® Stone Sealer. Removing stubborn oil stains can be a chore. But it can be done. First pour water in a circle around the stain affected area. This fills the stone pores where the stain is not presently, preventing the stain from spreading once solubilized. Mix acetone with baking soda to a pancake batter-like and spread over the stain until it is completely covered. Let it set for 24 hours, then remove and rinse with water. If the stain does not fully come out, re-apply the paste again. Do not be surprised if this takes several applications. As long as the stain is getting lighter you are making progress. Once the stain has been removed, the stone should be resealed. Candlewax might not break a stone’s seal and may be able to be scraped off with a plastic knife. If a stain does form in the tile, however, the culprit is likely the candle pigment. The same method mentioned above should work for removing the wax. When caring for the natural stone in your home, make sure you clean it regularly with a stone-safe cleaner such as MARBLELIFE® Granite Countertop Cleaner, which is safe to use all types of natural stone, and an exceptional degreaser. 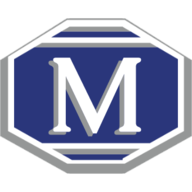 If you have additional questions about stone care, feel free to call MARBLELIFE today or visit your local MARBLELIFE office and a knowledgeable stone craftsman will be happy to assist you. MARBLELIFE® Stone Sealer is a fantastic combination of the strongest features of a superior quality sealer, without the negative features of many popular sealers.